Nexus Risk Platform is a flexible software platform on which to manage asset and liability risks. Comprised of a suite of modules and utilities that enable companies to execute risk management as a strategic-decision making framework, Nexus Risk Platform incorporates overall financial goals, risk appetite and specific risk tolerances. 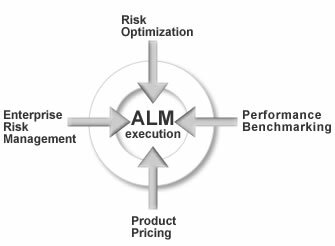 Modules are available for executing ALM strategies, dynamic hedging, and calculating economic capital. Utilities available include a series of financial modules, interest rate models and economic scenario generators. Nexus Risk Platform is fully automated to allow seamless integration with our clients' existing systems. Nexus Risk Platform combines the security of a .NET platform, the transparency of Excel and the power of a SQL-Server database.